So as you know I have posted my “Semi-Homemade Spaghetti” on here before and it is one of my favorite fall back recipes!!! I usually use ground turkey but this time I did 1/2 lb Chuck and 1/2 lb Italian Sausage and I always simmer by meat in red wine. 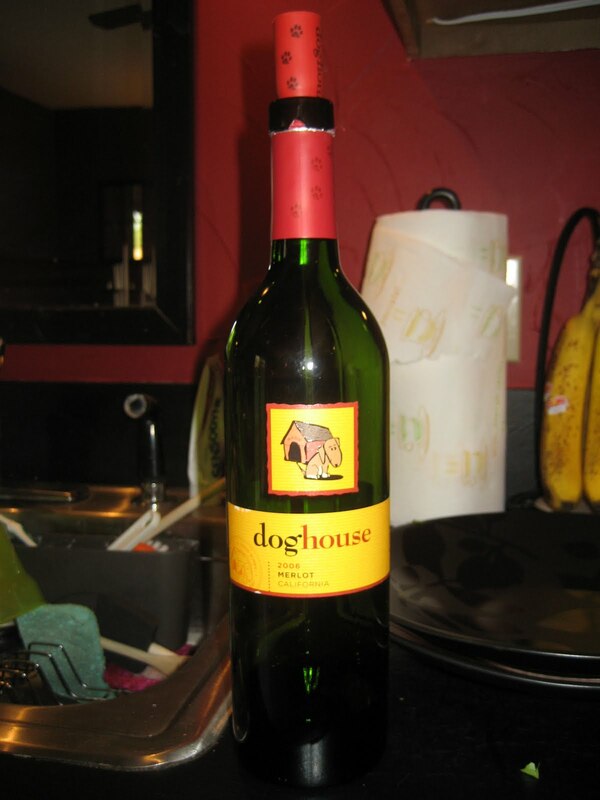 Well Matt picked up the wine on the way home and he got this… Doghouse Merlot for only 8$ and it was wonderful!!! If you all ever see this at the Wine shop grab it and make yourself some spaghetti!!! !